S Somanath, director, Vikram Sarabhai Space Centre, said GSLV MkII is capable of carrying the two tonne class satellite. SRIHARIKOTA: With the sixth consecutive successful launch, GSLV is becoming India's next workhorse on par with PSLV and undergoing further advancements to increase the payload carrying capacity. "For this mission, certain improvements in second and cryo stages have been made to accommodate more propellant loading. Cryogenic stage propellant loading has been increased from 12 tonne to 15 tonne. In upcoming GSLV-F12 and GSLV-F13, more wider compartments are planned to fit in heavier spacecrafts. 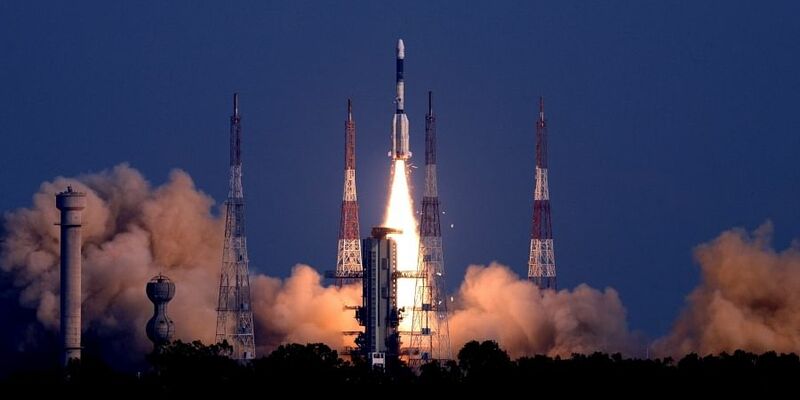 The rocket used in this vehicle is taller by 1.5 meter compared to the previous GSLV MkII launch," he said, and added that this puts GSLV on the same peddle alongside PSLV, that is known for its reliability and robustness.